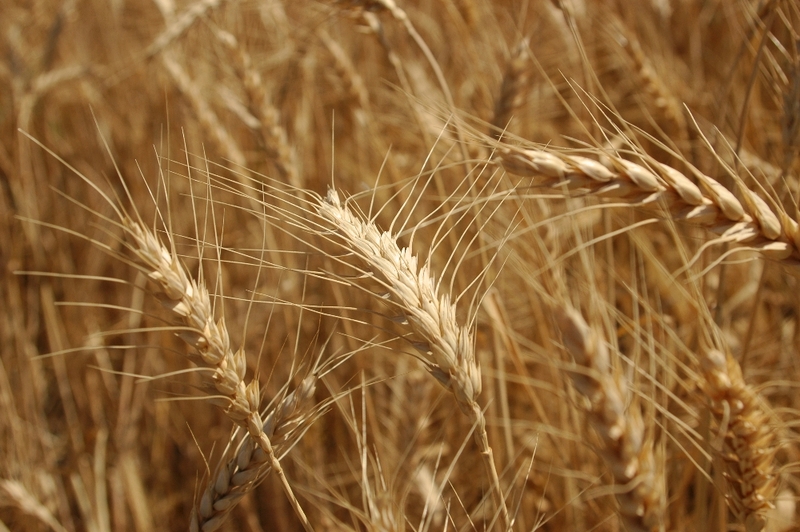 Luke 6 records one of several clashes Jesus had with the Jewish leaders: “Now it happened that He was passing through some grainfields on a Sabbath; and His disciples were picking the heads of grain, rubbing them in their hands, and eating the grain. But some of the Pharisees said, ‘Why do you do what is not lawful on the Sabbath? '” (vv.1-2). Lenski observes, “The time of this occurrence is certainly determined by the condition of the grain, which was ripe enough to be rubbed out ‘with the hands,’ dative of means, Robertson, 533. It was April, shortly after the Passover, a year before Jesus’ death” (The Interpretation of St. Luke’s Gospel, p. 321). What Jesus disciples did was permitted by Scripture: “When you enter your neighbor’s standing grain, then you may pluck the heads with your hand, but you shall not wield a sickle in your neighbor’s standing grain” (Deut. 23:25). However the Pharisees had erroneously determined that this was working, and therefore in violation of the Sabbath. Ripened Wheat. Photo by Leon Mauldin. Besides the fact that Mosaic Law actually permitted the disciples’ actions, Jesus showed the inconsistency of his opponents. They found no fault with David, even though when fleeing from Saul he and his men ate showbread from the tabernacle (Lk. 6:3-4). And yet they condemned the disciples, who were guiltless of wrongdoing. Further: “The Son of Man is also Lord of the Sabbath” (v.5), and as such He knew what was right and wrong (re: the Sabbath and all things), and would not permit His disciples to violate the Sabbath. What was totally escaping Jesus’ opponents was the fact that “The Lord of the Sabbath” was in their midst and they did not see it! How sad! 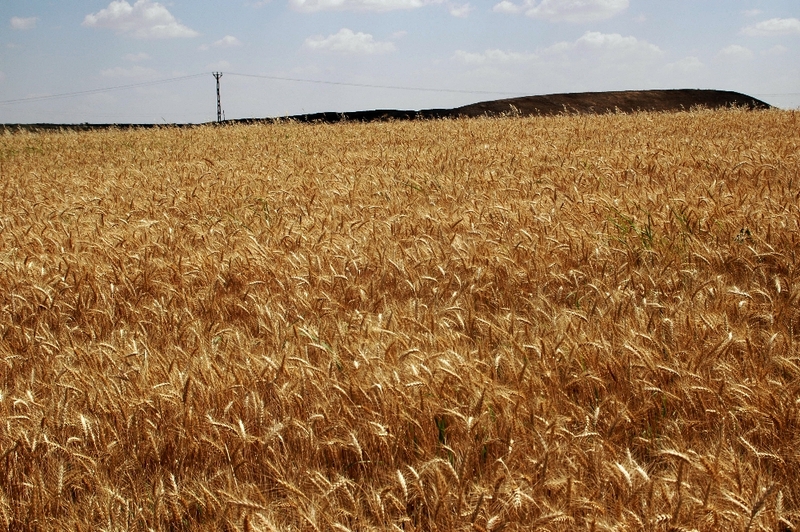 Fields of Wheat near Euphrates. Carchemish is in background. Photo by Leon Mauldin. “The Dead Sea Scrolls are undoubtedly the most important discovery found in Israel in the field of the Bible and history of Judaism and Christianity.”1 Fragments of about 900 scrolls from the 2nd Temple period (some dating as early as 3rd century BC) were found in the Qumran caves (NW shore of Dead Sea), between 1947 and 1956. Every book of the Old Testament (except Esther) were represented in the finds, including one complete copy of Isaiah. 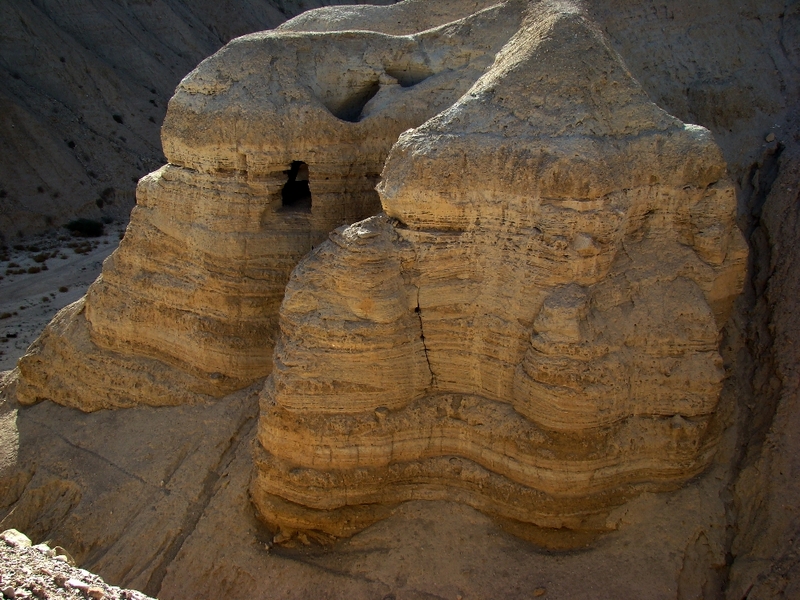 Some of the Qumran Caves where the Dead Sea Scrolls were discovered (1946ff.). Photo by Leon Mauldin. 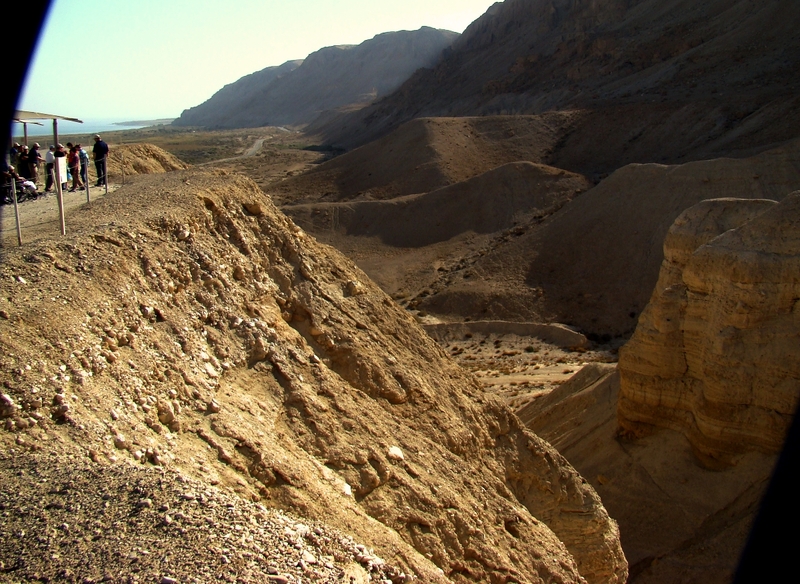 View from Qumran looking south. Dead Sea is in upper left of photo. Photo by Leon Mauldin. You are currently browsing the Leon's Message Board blog archives for December, 2015.